A 2Day FM ad starring Grant Denyer has been accused of ripping off a UK commercial released earlier this year, News.com.au is reporting. The new TV spot shows Denyer being quizzed by his two daughters about his breakfast radio show. While it undoubtedly tugs at the heartstrings, its similarities to the UK spot hasn’t gone unnoticed. Check out both spots via News here. 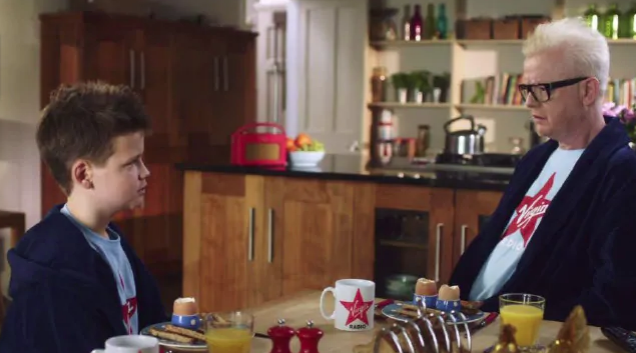 The UK version features Virgin Radio’s Chris Evans being interrogated by his son about his breakfast radio show. Both Evans and Denyer are dressed in dressing gowns with T-shirts featuring their respective radio logos, but the quick-fire questions from the kids are also almost word for word. “What type of music are you playing?” Evans’ son asks in the UK commercial. News.com.au spoke to the Hit Network’s head of content, Gemma Fordham, to ask about the similarities. She added: “They might not have seen the Chris Evans ad but they will probably recognise the fun nod to John Candy’s Uncle Buck. Denyer was involved in a similar spot in 2017 when he was busted stealing a story from Matty Johns.